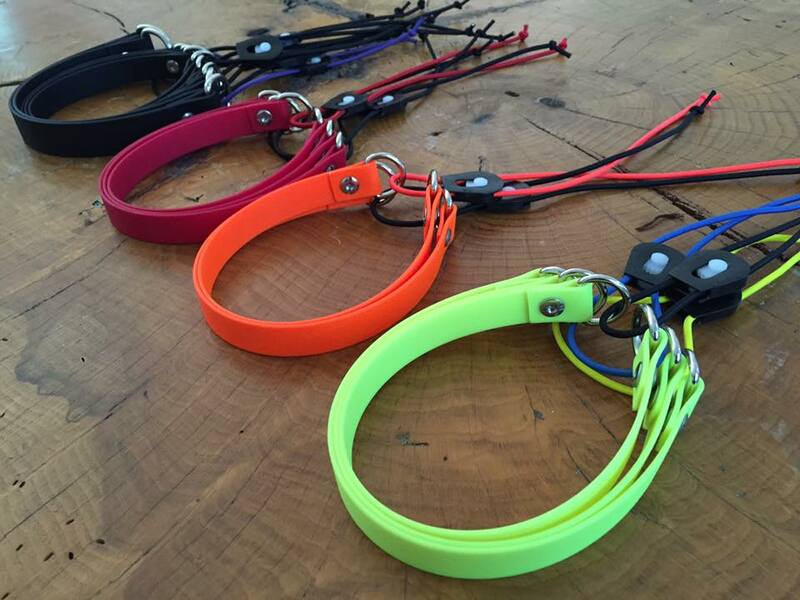 Our bungee collar straps are designed as replacement straps for e-collars. 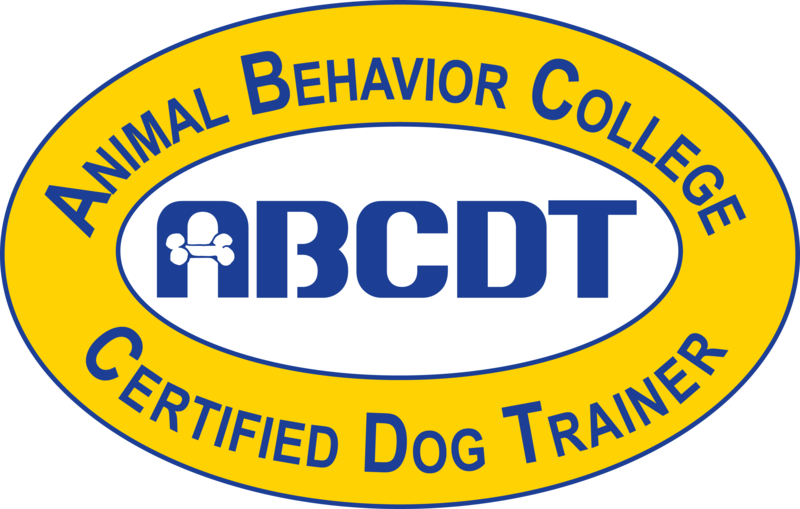 They provide comfort to your dog by being able to expand as your dog breathes or moves their head about while maintaining consistent pressure on the e-collar receiver. Our bungee collar straps are made from high quality, waterproof biothane, which makes it durable, stink-proof, and easy to clean. 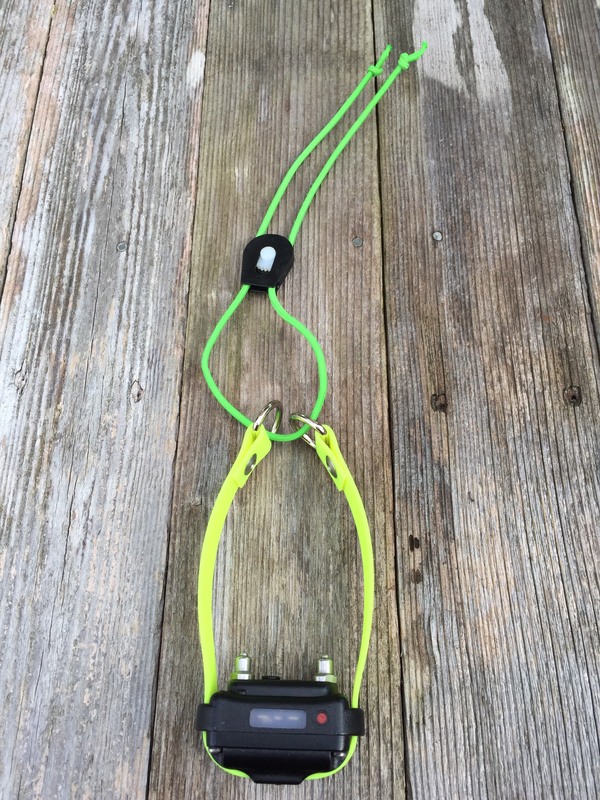 The bungee collars are also designed to make it easy to put the e-collar on your dog and take it off without having to fumble with buckles. 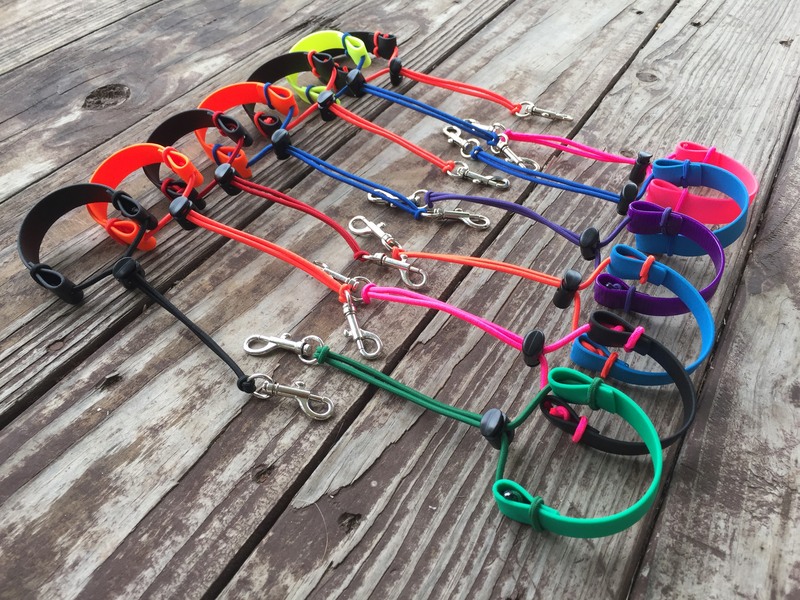 And, with 80 color combinations to choose from, you can mix and match colors to match your style, your dog's collar, or your business. 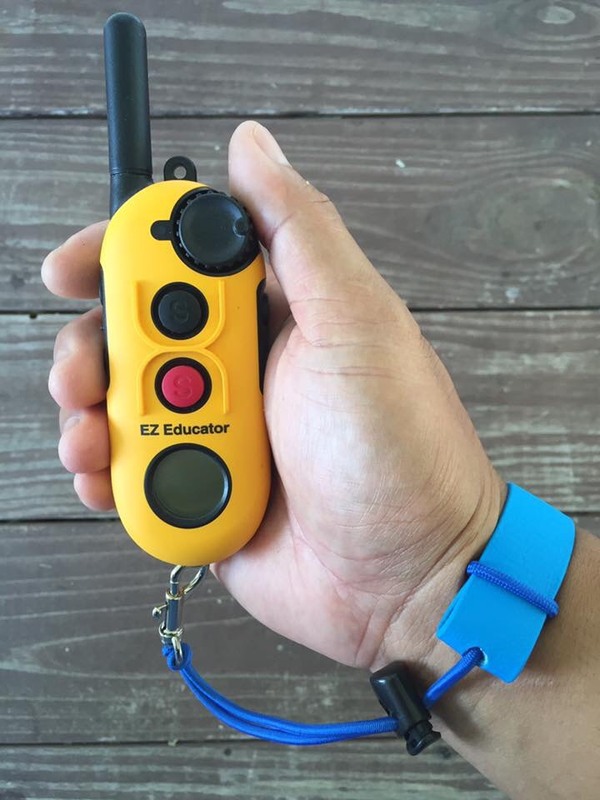 Our bungee wrist remote keepers were designed to keep your e-collar remotes easily accessible. 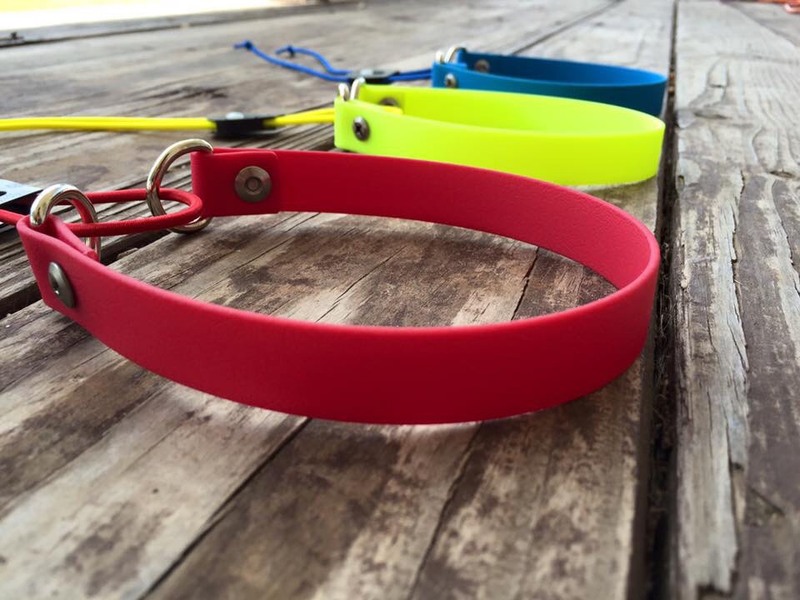 They are made from the same materials our bungee collars are made of. 3/4" biothane makes it durable, waterproof, stink proof, and cleanable while the 1/8" paracord shock cord is abrasion, mildew, and UV sunlight resistant. 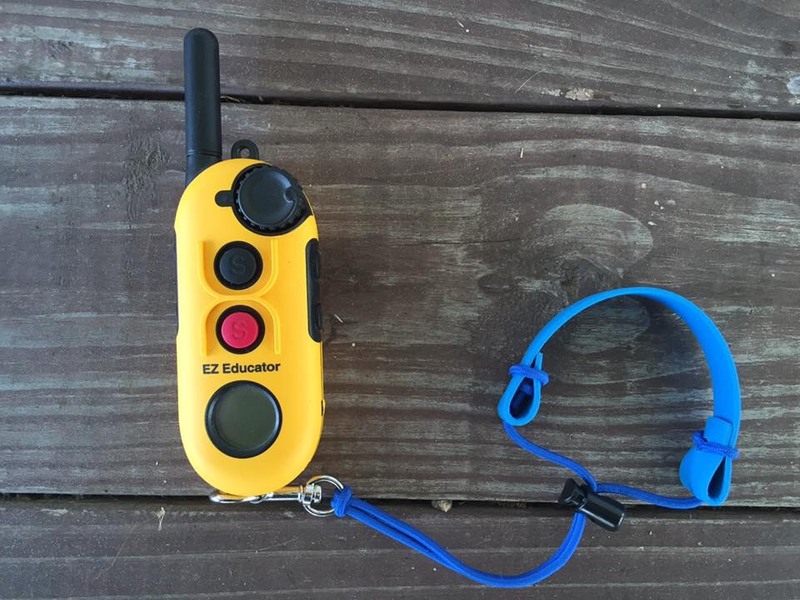 The cord lock allows for full adjustment to your wrist and the swivel hook keeps the cords from tangling. 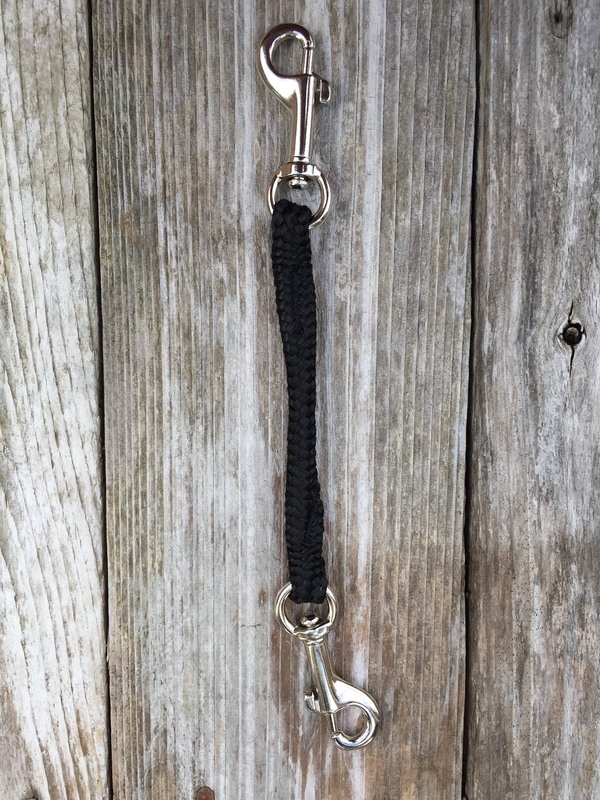 Our unique design makes it so the bottom ends carry the greater weight which allows the wristband loop to remain unstressed. 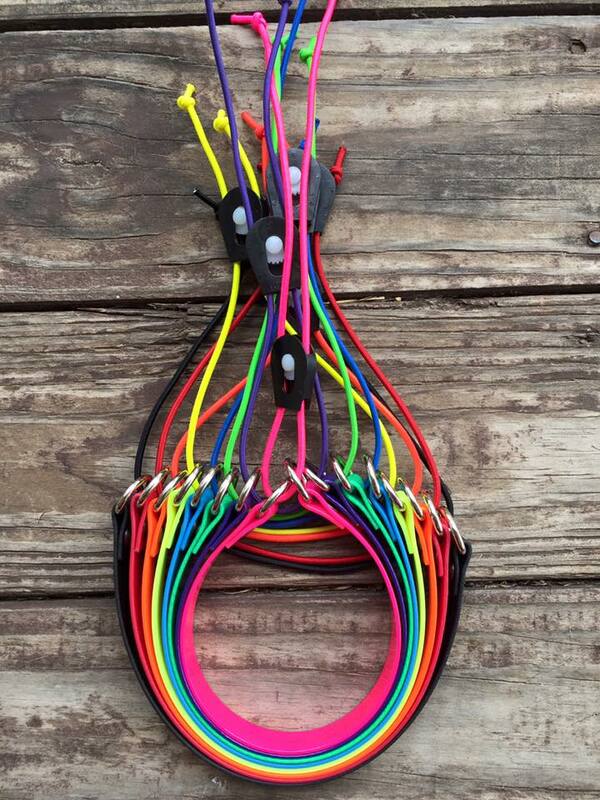 The result is a wrist strap that looks like a bracelet. 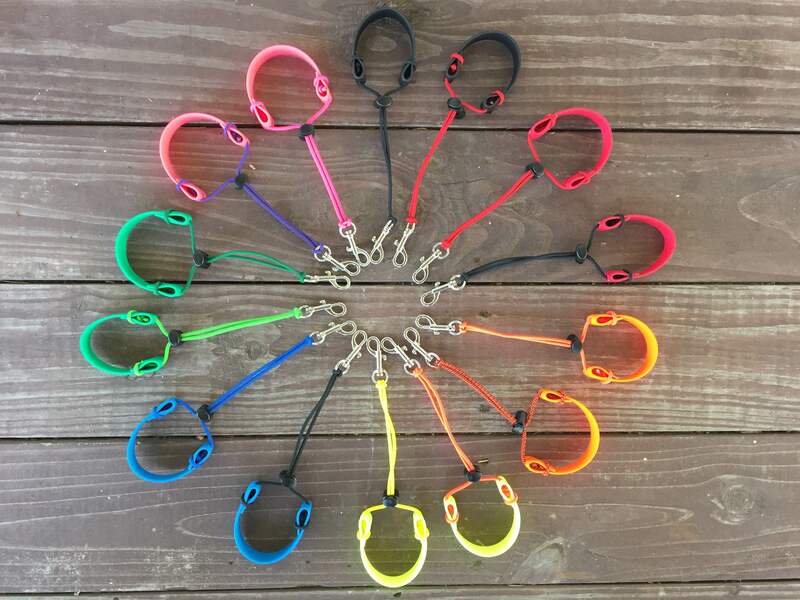 And, with 80 color combinations to choose from, you can mix and match colors to match your style, your dog's collar/bungee collar, or your business. 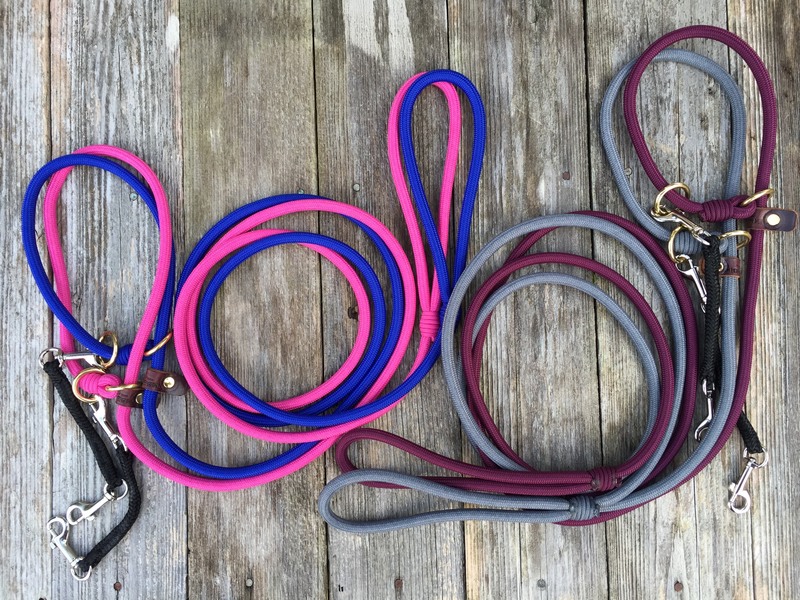 These lightweight slip leads are handcrafted in the USA from high-quality double braided climbing style rope. It features a smooth, snag-free finish, corded binding for strength and durability, an adjustable leather slide to prevent the lead from slipping off, solid brass hardware, and a safety link for added security. 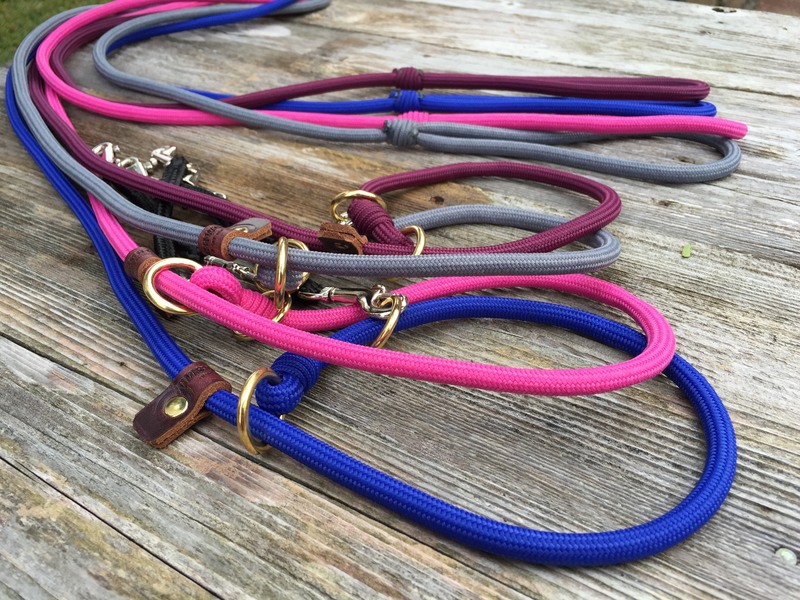 The leashes can be machine washed and hung to air dry. For order and inquiries please contact us. Prices reflected does not include shipping. Payment options accepted are PayPal or any major credit card.